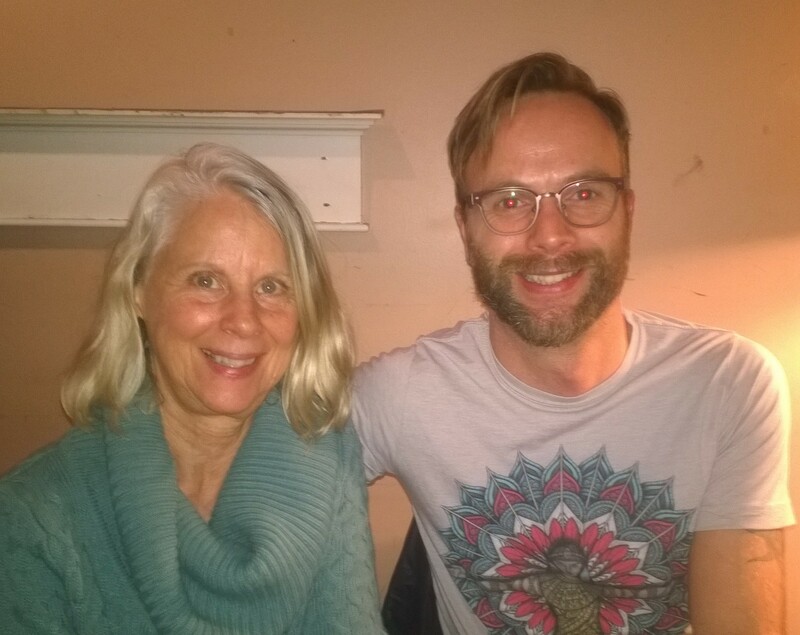 My friend Fredric has a woman friend in England who was “kicked awake” from a dream by a “Patricia” asking a question about dragons, serpents and bees. She thought that woman might have been me since Frederic had mentioned my book to her. She and I are now connected. 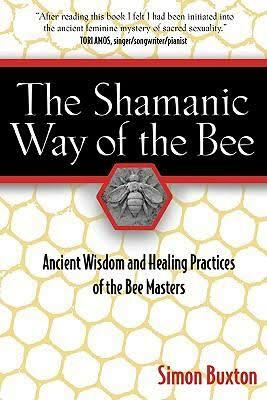 As a result Fredric loaned me the The Shamanic Way of the Bee by Simon Buxton about the ancient wisdom and healing practices of the bee masters. This morning I read that Bee pollen and nectar has the power of vitamin P or vitamin Pan that encompasses honey, pollen, bees, and sexual power. I will share by Pan poem here soon…in celebration of spring. When I opened my Facebook page this early morning I had an invitation to Tasting Bee Magic with the Pixie Traveling Medicine Show. It will include bee-romancing, medicine, and the plant people. Magic is afoot — connecting the dots! I live life from the inside out and call this the Sacred Feminine, meaning that I listen to my feelings and intuition more than my masculine logic. Timing is synchronistic when you live inside out. The timing of this has to do with my recent shift in consciousness that brings aliens and star people to the forefront. I had forgotten that I briefly mention both at the beginning of the interview. Synchronicity plays out through words. It’s as if words have a life of their own, a magnetic attraction and a song. They seem to gravitate and hook up to make a more whole and rounded picture. This website blog bears witness to this evolution…this connecting of living “dots”. Enjoy the laughter and honesty that comes through our feelings, thoughts and words. More connecting of dots! 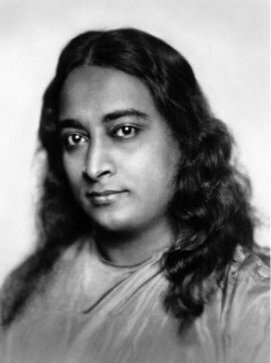 I awoke at 4:00 am last Thursday and thought about Yogananda and the new cycle in my life that has to do with losing documents on my computer. It’s as if I am to let go of the past. I continue to read The Autobiography of a Yogi by Paramahansa Yogananda and I feel his presence—as do many people. I write about my encounter with this cosmic friend in my book S/He Dragon. Last Sunday I attended service at the Ananda Temple and told Minister Hriman that Yogananda had sent me. His response was, “You look like you belong here.” I will return. I went back to sleep and had an intense flying dream. I am in a vehicle passing cars on a road and then debris on the road makes it difficult to drive. I lift off above the roadway to pass cars easily. I pick up speed and can see more strewn debris to the left that looks like cardboard boxes. I want to veer to the left, toward the chaos, so I intentionally shift my weight that direction. The dreamscape shifts. I am now moving through water and am lifted upward. I feel the pressure on my spine as I move in an arc, up, up and around. This “over the top” sensation is thrilling reminding me of a ferris wheel ride. Moving downward into water I think about drowning and become afraid. An inner voice tells me to relax. I am now on the surface of the water looking at other boats and people. The waterway is crowded. When I shared this dream at Banyen Books on Thursday I mentioned that perhaps the “cardboard boxes” indicated an earthquake. This surprised me. I had not thought of that previously. The next day, Friday, brought news of an earthquake in Taiwan with a 6.4 magnitude. What is the significance of the dream? What is it saying to me? What do I see?